As noted in a prior post, a resident of Waunakee, Wisconsin is suing the city after she was told her dog, a supposed “pit bull,” would have to be removed from the village a mere 20 days after police determined her dog was a so-called “pit bull,” a “breed” banned within city limits. Faced with a legal challenge, the village board will be reviewing its code.
. . . while the village’s attorney has advised that the village has a reasonable defense under current case law, the village could revise the ordinance to more effectively protect the public. No person shall own, harbor, or keep within the village any dog of the breed Staffordshire terrier, or any other dog known as a pit bull terrier. Neither “Staffordshire terrier” or “pit bull terrier” is a breed. Nor does it state that mixed breeds of so-called “pit bulls” are banned, and, “Clay,” the dog in question, is a rescue with untraceable lineage, so to his owners, he is a mutt. 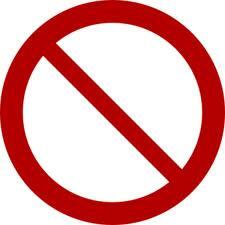 The village board will discuss the existing ban at its November 4, 2013, meeting.